Masterminded by former reviewer Piotr and hailing from Poland, Customart have achieved international renown for their low cost/high-performance custom in-ears. The company has been catching eyes with their recently announced Fibae line of earphones, that feature a perfectly flat impedance curve. This is not a trait unique to the Fibae earphones, but it is a significant innovation in balanced armature technology; almost all of which tend to be either especially source dependent or prohibitively expensive. Resultantly, Piotr reasons that the Fibae earphones will have the same sound signature from every source. Though receptive to other factors, they disregard output impedance, placing them among the most versatile in-ears on the market. At present, Customart offer two models, the Fibae 1 and 2 with corresponding driver count. The Fibae 2 is the more vibrant model with a starting price of ~$550 USD, however, it can be optioned higher depending on design. See specifications on Custom Art’s product page here, and read more about their new Fibae flat impedance technology here. I would like to thank Piotr from Custom Art very much for his quick communication and for providing me with the Fibae 2 for the purpose of review. All words are my own and there is no monetary incentive for a positive review. Despite receiving the earphones free of cost, I will attempt to be as objective as possible in my evaluation. The shoebox-style packaging that ships with the Fibae 2 does not accurately convey treasure that lies within. Upon lifting the lid, the buyer is greeted by a pelican 1010 hard case containing the earphones and cable. This is an excellent, albeit somewhat cumbersome case that provides awesome protection during transit and shipping. Custom Art provide a small desiccant capsule to remove moisture from the earphones, a useful addition for stage monitoring and active use. Upon request, Custom Art are also able to return your earmolds should you need them in future. Though only offered as a custom on Custom Art’s website, the Fibae 2 can be configured as a universal too (though you’ll have to contact Custom Art via e-mail). And, regardless of form, Custom Art’s designs are realised through an excellent manufacturing process that yields some stunning results. Of course, due to the nature of the earphones, they don’t possess the same level of consistency as a mass-produced product. However, in return, the Fibae 2 is almost fully customizable to the buyer’s request. Custom Art’s customizer is very comprehensive and reasonably flexible; offering the ability to customise nozzle and housing colour in addition to a huge selection of faceplates with the ability to print a user-specified design on top. Piotr also takes custom requests should the freedom offered by the customizer not suit your needs. And besides aesthetics, the earphones can be ordered with a recessed or non-recessed 0.78mm 2-pin plug and in either silicone or acrylic; which alters their wearing and isolating properties. Once ordered, Custom Art have a quicker turnaround, averaging between 3 and 4 weeks upon receiving the buyer’s earmoulds. Piotr is also exceptionally communicative, providing frequent updates and a very prompt response time. Additionally, the earphones were shipped using FedEx, further reducing turnaround. As far as custom in-ears go, I had a very positive experience; especially considering that some botched earmoulds prompted a refit. The total process took around 6 weeks. See here for the acrylic Fibae 2 customizer and here for the silicone version. Many of the following comments will be universal to the majority of custom earphones. However, the level of workmanship demonstrated by the Fibae 2 is among the best I’ve experienced. Though available in a more flexible silicone, acrylic customs are more orthodox and the material I chose to use for my set. My Fibae 2 came smoothly formed with seamless joining around the nozzles and faceplates and rounding to every edge that enhances comfort without sacrificing seal. Their flawless long-term comfort was further established when wearing the earphones during a 12hrs flight from Japan to Australia; during which I experienced no hotspots at all. Of course, they will feel a little unusual coming from a universal earphone; their unyielding acrylic housings lacking the malleability of silicone/foam tips and losing seal with an open jaw. However, that sensation quickly fades into an almost imperceptible comfort. Moreover, with a deep fit and fully-sealed, ear-filling design, the Fibae 2 also provides terrific noise isolation that exceeded that provided by my Campfire Jupiters; my most isolating universal in-ear. This makes them ideal for travel and commute at the cost of some additional pressure during wear. As I ordered my set with transparent housings, the two drivers and wiring inside can be observed. The Fibae 2 isn’t silicone filled, but the drivers are firmly cemented and the wiring is neat and organised. The transparent acrylic had a few tiny bubbles, but they never affected comfort or seal as on some older customs I’ve owned. I am concerned that there are no obvious filters protecting the drivers from wax and debris though this never presented any complications during my months of testing. The Fibae 2 utilises a 0.78mm 2-pin removable cable. I went with a recessed connector for the additional stability that it affords. However, the connectors proved to be my main concern with the Fibae 2. Of note, they are quite loose and the earpieces are prone to detaching when winding the cable up for storage. It’s irksome, but can be partially alleviated by bending the 2-pin connector on the cable to provide some additional tension. Otherwise, the included cable is a fairly standard affair amongst custom in-ears. It has a tight twist beneath the y-split and a looser braid above it that is less receptive to microphonic noise. The cable is very supple with a smooth texture that routes easily through clothing. The right angle 3.5mm plug feels well-relieved and the memory wire ear guides hold their position reliably (though I still prefer the pre-moulded variety). The Fibae 2 has a u-shaped sound derived from full, elevated bass and a slight increase in treble shimmer and air. However, unlike a lot of earphones tuned for engagement over neutrality, the Fibae 2 actually sounds surprisingly mellow; forgoing the usual boosted clarity and aggressive detailing in favour of a more natural sound. As a result, the Fibae 2 doesn’t wow quite as much as some earphones on first listen. But it also manages a more realistic timbre and greater consistency between albums of different genre and mastering style. Full and organic, the Fibae 2’s low-end is musical and warm yet never over-cooked. Though not emphasized, sub-bass has fairly impressive extension, especially for a dual BA earphone; delivering a solid foundation and clearly defined rumble. Mid-bass holds most notable emphasis in the Fibae’s sound, heightening punch through large, full notes. However, the Fibae 2 also has a rather atypical bump within its upper-bass that flavours, but doesn’t overshadow or muddy its midrange. Resultantly, the earphones sound full and dynamic, and the tasteful nature of their upper-bass emphasis presents as organic rather than tubby. The quality of the F2’s bass response is also very pleasing. Bass is tight, with each drum and electronic beat hitting with solidity and focus (if not the physicality of a good dynamic driver IEM). Additionally, though emphasized and warm, bass demonstrates excellent control throughout, with realistic decay that sounds natural without allowing things to become sloppy. As such, bass notes remain well-separated and defined despite their added warmth and body. Though, it must be noted that the Fibae’s low end still doesn’t sound quite as clean and articulate as earphones more neutral in tone such as 64Audio’s U3 by nature of their tuning. The Fibae 2’s midrange isn’t just superficially warm or thick, it’s dense with nuance. Despite possessing the least presence, it was the Fibae’s midrange that really stood out to me upon first listen. Custom Art flatter the listener with gorgeous resolution and great linearity that few can match around this price range. But though quite balanced, they don’t sound neutral as their mids are coloured by their warmer bass and lower-treble attenuation. This style of tuning nets a slightly fuller, smoother and more laid-back presentation, though the earphones remain remarkably resolving and realistic in timbre. Background detail retrieval is also standout due to their linearity, but the earphones do have a slight upper midrange accent that enhances clarity and energy without resorting to lower-treble accentuation. This gradual emphasis sounds well-integrated into the surrounding frequencies, creating realistic vocals lacking raspiness or sibilance, and crisp instruments that retain natural body. Resultantly, the earphones uphold a high level of resolving power throughout, in addition to great consistency between tracks and mastering styles. They do lie more on the musical side of the spectrum, but they never compromise technicality to achieve it. Treble continues the Fibae 2’s trend of tasteful sculpting, in this instance, to pursue smoothness with a hint of energy. In order to do so, Piotr has implemented a reduction of the lower-treble frequencies. This also contributes to an especially clean background. However, though the Fibae 2 is hardly a dull earphone, they can lack the pristine edge and attack of a lot of earphones around this price; most of which tend to be more analytical. Still, this is a well-detailed earphone with natural decay and a smooth texture that avoids any kind of fatigue. In addition, as their smooth lower-treble precedes a slight emphasis within their middle treble, the F2’s high-end doesn’t succumb to any form of blunting. Rather, they have a little additional shimmer and air which heightens engagement. Cymbals are still delivered with energy and strings have plenty of focus. The Fibae 2’s extension is especially impressive, which greatly contributes to their outstanding resolution. Accordingly, though they aren’t tuned in the most aggressive, revealing manner, Custom Art deliver a very resolving earphone that simultaneously avoids any brightness or long-term fatigue. The Fibae 2 delivers a reasonably large stage amongst sealed in-ears, chiefly due to its excellent treble extension and resolution. Width stretches to the periphery of the head but, unlike most in-ears, the Fibae’s stage is more rounded with similarly reaching depth. In addition, as the Fibae 2 has quite a linear midrange, every layer in their presentation is well-defined and instrument placement is a standout around this price range. Separation isn’t exceptional due to the earphone’s generally fuller, thicker sound, but their additional air and great control do contribute to a tightly knit image that doesn’t succumb to congestion. This is easily among the most interesting aspects of the Fibae 2 that prides itself on its flat impedance curve. This does not translate to identical sound from every source, but rather a consistent signature between them; of course, hiss, distortion and resolution are all very tangible between sources of differing quality. Still, where some earphones can have notable bass roll-off and take a significant hit to dynamics from a source of higher output impedance, the Fibae 2 does indeed retain its fuller signature with no roll-off of blunting noted during testing. This was most notable when switching between the Fiio X7 II and Hiby R6 (which has a 10ohm output impedance). Where the R6 can sound completely transform some earphones, the Fibae 2 sounded very similar besides the sligthly darker signature and other characteristics of the player itself. Fidue A85 ($399): The Fidue is a more mid-forward earphone with a brighter top-end and cooler, more neutral bass presentation. Being a hybrid, it has a little extra rumble within its sub-bass, and it is similarly a little fuller due to slight mid-bass emphasis. However, rather than emphasizing its upper-bass like the thicker Fibae 2.0, the A85 employs a modest dip that creates a thinner, cooler midrange. The A85’s midrange is also a lot more forward and it has greater clarity on account of its brighter signature. That said, it isn’t nearly as natural as the Fibae 2 and resolution is lower with less background detail retrieval. Upper mids tell a similar story, the A85 is a lot smoother and refined here than within its lower mids, but still more aggressive than the Custom Art. Chiefly, the A85 has considerably more treble energy than the FIbae 2, mainly within its lower treble. The A85 isn’t an especially bright earphone in isolation, but compared to the more laid-back FIbae 2, its sound has considerably more lower-treble bite and middle-treble air. This contributes to a rather expansive stage on the A85; the Fidue doesn’t image as well as the Fibae 2, and its layers aren’t as defined, but it has great space and terrific separation that the warmer F2 can’t match. 64Audio U3 ($499): The U3 has a similar u-shaped signature to the Fibae 2 yet it too is a brighter and more vibrant earphone. Bass is cooler with a focus on sub as opposed to mid-bass, and a more neutral upper-bass response. The U3 also possesses greater extension, delivering a little more slam and rumble. Resultantly, the U3’s bass is more defined and articulate; it lacks the natural decay of the Fibae but has similarly excellent control. Mids are a little recessed on both, but the U3 is the more transparent earphone as it is more neutral in tone. They are slightly bright, producing a revealing sound with clear male and female vocals, but the U3 does lack a slither of body. That said, the U3 is still a refined and natural sounding earphone if not as organic as the Fibae 2. The U3 has a more aggressive lower-treble presentation that contrasts to the smoother Fibae 2. As such, it brings details to the fore more apparently though its actual retrieval is similar. The U3 also has more middle-treble contributing to an airy sound with greater attack. Combined with 64Audio’s M20 APEX modules, the U3 produces a far grander, more separated stage than the Custom Art in-ear. However, like the Fidue, it lacks the layering of the Fibae 2. Plussound Prism ($550): When switching between the Prism and Fibae 2, Plussound’s earphone sounds notably more mid-focussed though it’s actually a thicker, warmer earphone. The Fibae 2 possesses far better sub-bass extension with the Prism providing little rumble and slam. That said, the Prism has a small mid-bass emphasis providing fullness to its low-end and a notable upper-bass hump that institutes their warmer midrange. As their mid-bass is more restrained, their low-end sounds very nicely defined similar to the U3 though they aren’t nearly as dynamic as the more extended, more linear Fibae 2. The Fibae 2 easily has the more transparent, resolving midrange presentation whereas the Prism can sound a little dry and blunted. Of note, their aforementioned upper-bass emphasis institutes quite a warm lower-midrange subject to a little muffle. 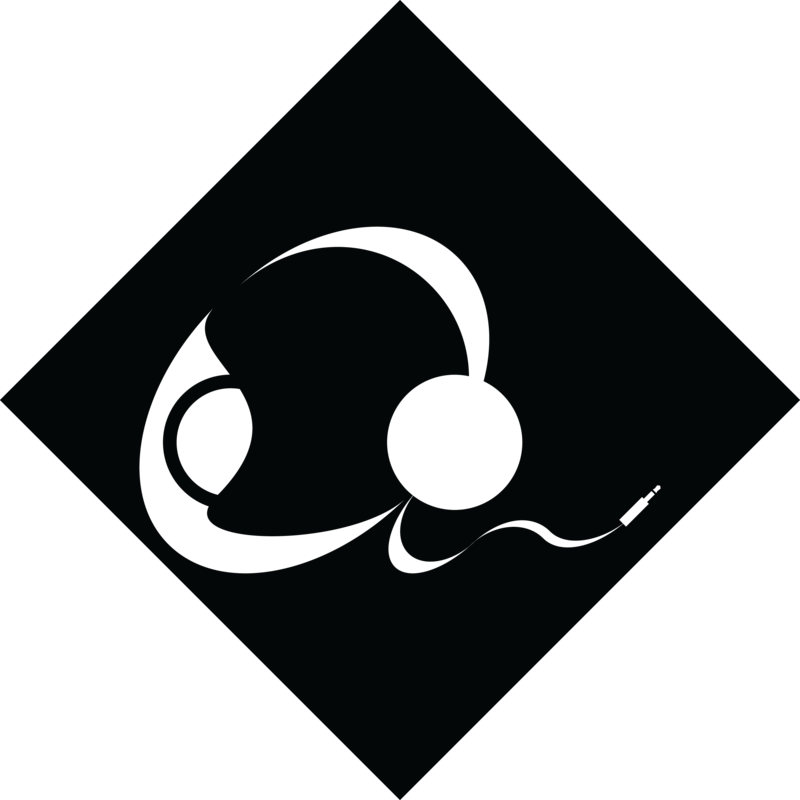 Their darker signature has a small dip preceding lower-treble, producing smooth female vocals that lack a little extension but also a lack a lot of clarity. The Prism employs a modest lower treble boost to aid top-end clarity and inject some energy into their otherwise smoother sound. However, their emphasis sounds isolated, delivering thin notes. Still, the Prism delivers nice extension and high resolution, but I do feel that the Fibae 2 better executes the same style of tuning. Campfire Audio Polaris ($599): The Polaris has an immediately more V-shaped sound, intended to pursue engagement over accuracy. Its low-end is full with heaps of impact on account of its great sub-bass extension and elevated mid-bass. The Fibae 2 is more balanced and more agile, delivering greater definition and separation. That said, the Polaris lacks the upper-bass colouration of the Fibae 2, so its midrange sounds clearer and a little cool as opposed to warm and organic. The Polaris also pursues high levels of midrange clarity through its brighter signature. And, to avoid fatigue, it does so through a scooped lower midrange as opposed to a forward top-end. As a result, lower mids are quite recessed, a little thin and notably dry. The Fibae 2 is easily more linear and though it is not necessarily more transparent, it is more resolving. Upper mids are redeeming on the Polaris through their greater presence and more natural presentation. The Polaris does sound slightly glossy as it implements a modest lower-treble emphasis, but female vocals sound clear and extended while the Fibae 2 sounds smoother and more refined. Treble is aggressively detailed with a gradual decrease partway through their middle treble. This grants heaps of attack, shimmer and air while maintaining a clean, dark background. The Fibae is less aggressive but retrieves more detail overall. It also has greater extension and higher resolution than the Polaris, though its less revealing nature makes this less apparent. The Fibae 2 carves out a welcome space around this price range through its unorthodox yet carefully considered signature. Custom Art’s extensive customisability, fantastic build quality and quick turnaround all serve to further solidify the reputation that made them an industry leader to begin with. Add in prompt aftersafter salece and a comprehensive refit service, and Custom Art ensure an optimal ergonomic experience with every unit. And it’s in listening that the Fibae 2 really impresses; their exceptional resolution and synergistic blend of emphasis’ producing a very resolving yet versatile sound. I’m especially enamoured by their background detail retrieval and imaging, all indicative of a linear signature with a strong technical foundation. Though not the best choice for those wanting absolute transparency and clarity, the Fibae 2 is easily outstanding among the warm/smooth earphones I’ve tested. The Fibae 2 can be customized and purchased from Custom Art’s website here in acrylic and here in silicone. The earphones start at 1900zl which equates to ~$550 USD at the time of writing. I am not affiliated with Custom Art and receive no earnings from purchases through this link.